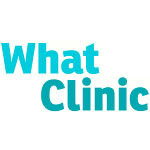 WhatClinc.com is a healthcare search engine. We gather the information you want about health clinics in the UK and Ireland, and further afield, and display it all comparably. We figure that you’re a busy person (with a great taste in websites!) so we want to make it quick and easy to find the information you need. …save you time when you’re trying to find somewhere to sort out your thinning hair, your crooked teeth and your bad back. There are a lot of clinics out there, and choosing one is pretty tough. We make it easier for you because we've already checked their website to see if they advertise their prices. We even phoned some of them to see if they have parking, and we let you and other patients share your experiences of the clinic. …hold your hand when you’re getting a big nasty filling, book your hotel after that secret face lift, or tell you that your bum doesn’t look big in your jeans anymore after liposuction. We’re not very good at any of those things. We are good at lots of geeky stuff to do with computers and the internet and gathering and sorting information, so we try to stick to that instead. We also can't guarantee that everything you read on our site is 100% accurate. Unfortunately people have a habit of changing things like phone numbers or addresses. We do try to stay accurate, but sometimes they change while we're looking at something else. We do update our site when find out about it. Our team of talented techies has gladly taken on the task of scanning the internet so you don’t have to spend hours trawling it yourself. They’ve been pretty thorough too, so we can help you find clinics for laser eye surgery, cosmetic surgery, dentistry, fertility treatment, hair loss problems, and lots, lots more. Even herbalists! That said, we're not going to pretend we have the details of every clinic everywhere, but we are adding more and more every day. As naive as it may sound, we believe that we can change the world (well, a little part of it anyway). We believe that you can and should be in control of your own healthcare choices, but we also know that the only way this is going to happen is if you can find the information you need to make those choices. That's why we gather as much information as possible and don't edit it in any way. We just give you exactly what we find ourselves. We don’t have anything to sell you, and we don’t mind if you choose Dr. Acula over Dr. Frankenstein for your Botox treatment. We just want to give you all the information we can about both of them so that you can make your own choice. We do gladly accept money from clinics who want to advertise on the site, but we put them in a box and stick “Featured Clinics” above them so you know that they’re ads. Really, they’re just there to pay the bills. We’d really like to hear from you. No, really! If we could do one thing a bit better every day we’d be really happy, and you’d have a better website to use. So you can email Philip here. We promise we’ll get back to you with an answer or a comment or a thank you (if you’re just writing to compliment us), but we really do appreciate it when you get in touch. Followers receive updates on new jobs or opportunities posted by WhatClinic.com.